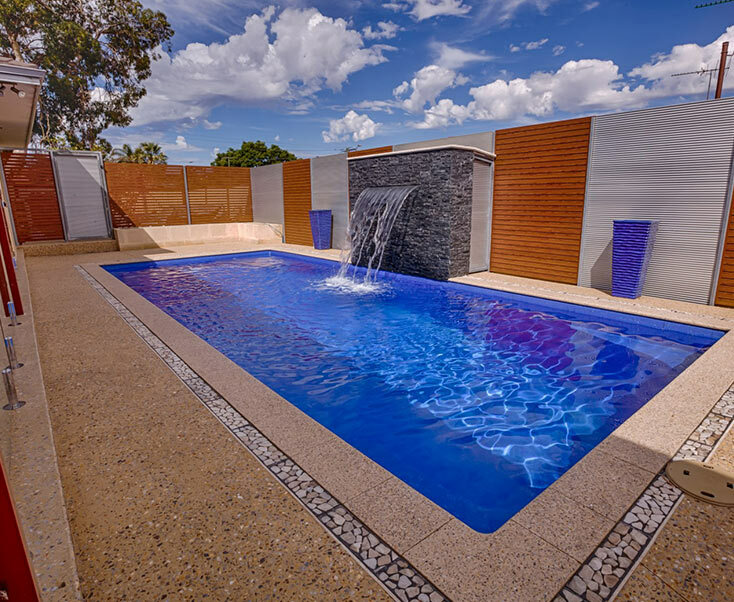 For a stunning and well-proportioned pool on a compact block, our plunge pools are the perfect option. Designed for small spaces, these styles are ideal for our ever-decreasing properties – incredibly small yet incredibly attractive! 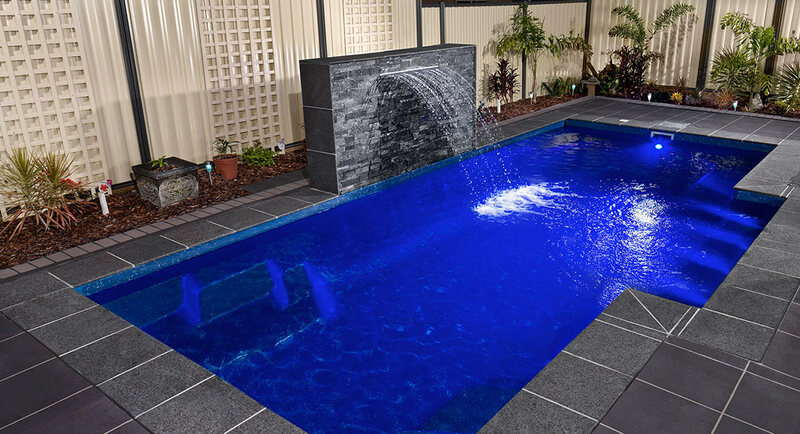 With the size of backyards decreasing across Melbourne, many people are worried that they will never be able to realise their dream of owning their own pool. 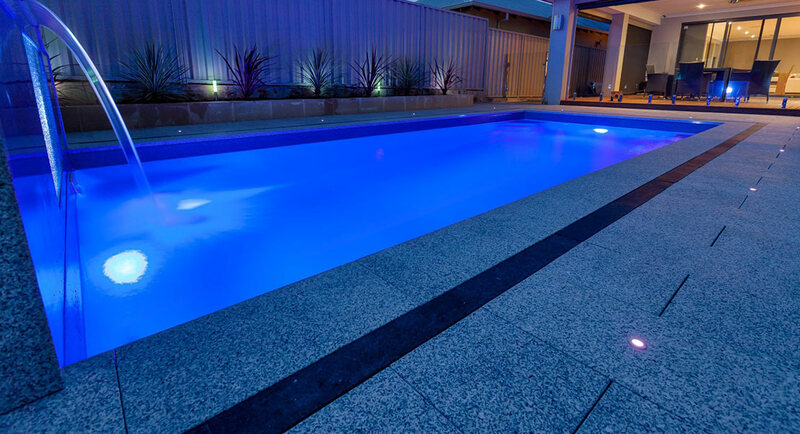 If that sounds like you, then you’ll be happy to learn that our team designs beautiful yet compact pools – the ideal choice for any property. Whether you want somewhere to take a dip when the weather heats up, or you love the idea of relaxing pool side, this is an excellent option. 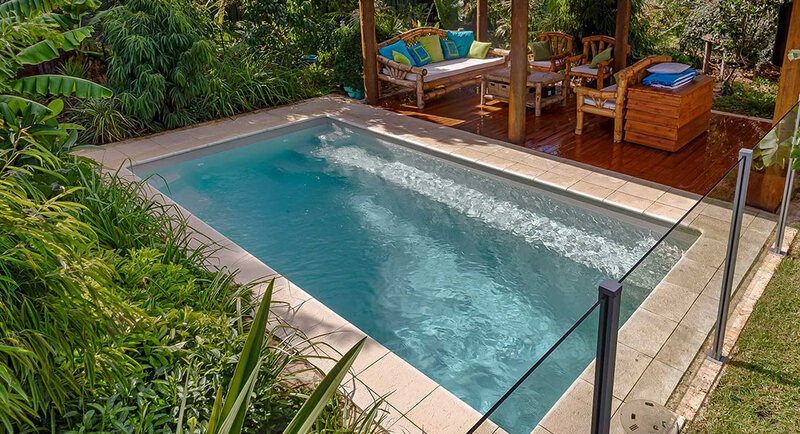 Plunge pools are designed to be compact, allowing them to fit with ease into any backyard – no matter how small. For that reason, they are generally between 2m to 4m in length, and 2m to 3m in width; ideal for cooling off in the heat of summer. Can I use my pool all year? Of course! 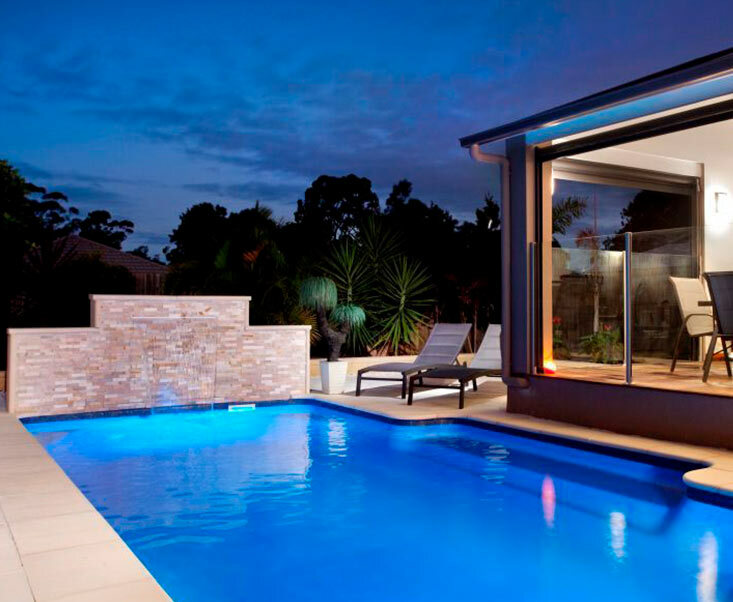 We’ve also found that many of our customers choose to install heating systems into their pools, allowing them to swim comfortably year-round as well. 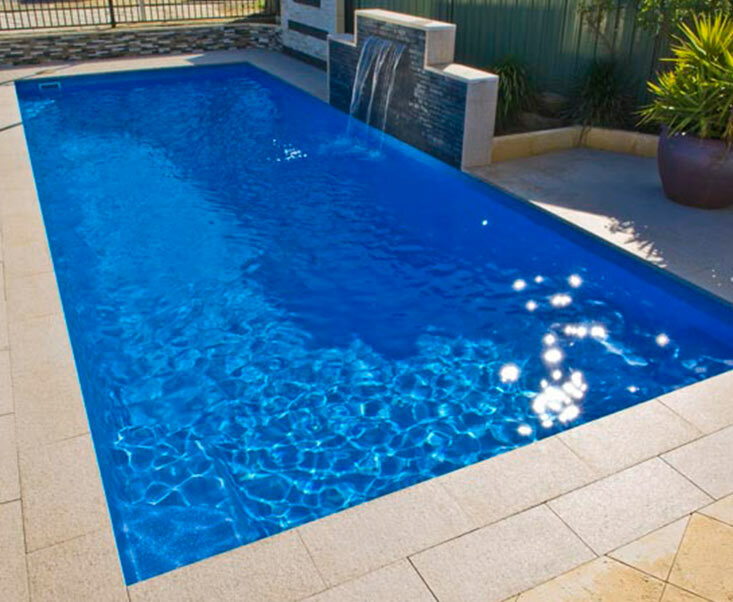 As the pools are smaller, there is less water to heat – offering a more affordable solution than a family sized pool. This way, you aren’t restricted to warm water from December to March, but can use your pool whenever the sun peaks through the clouds. What are my landscaping options? As always, we work with you to choose a theme and materials that will match your home, creating a complementary space that you’ll love to spend time in. If you have any ideas in mind, our expert team will turn them into reality. 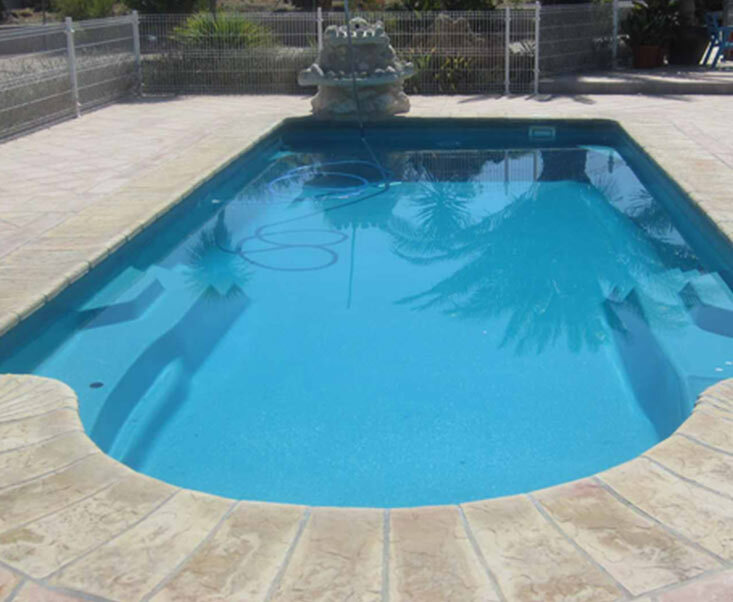 However, we have found that our customers often splurge on higher quality finishes – as the pool itself is smaller and more affordable. 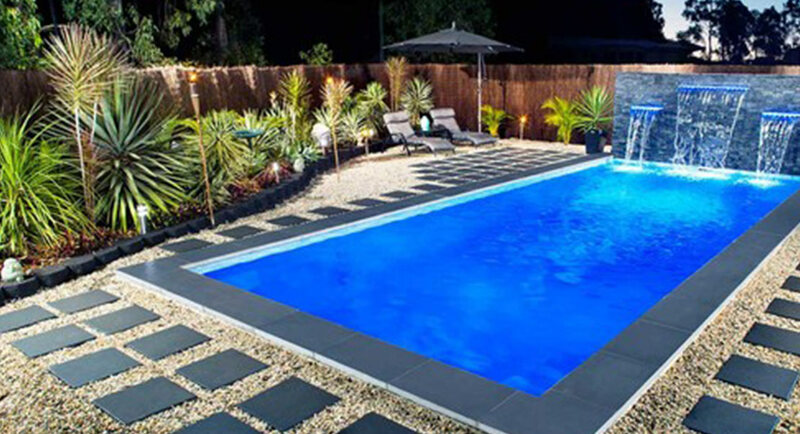 Whether you want luxury pool coping or premium decking, we can make it happen.